We’re counting down to Game Of Thrones’ final season by distilling the fantasy epic to 30 essential moments. This is Month Of Thrones. Daenerys Targaryen “gives birth” to her dragon babies. After establishing that no one is safe by slicing off Ned Stark’s head with a single stroke of the executioner’s broadsword, Game Of Thrones changed the rules once again by reintroducing creatures previously thought to be extinct to the A Song Of Ice And Fire universe. 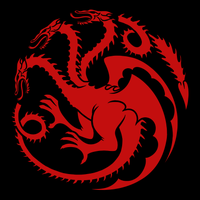 “Fire And Blood” is the motto of House Targaryen, the former rulers of Westeros who, as the series begins, have fallen far. And the last remaining member of this once-glorious dynasty, Daenerys Targaryen (Emilia Clarke), not yet the Mother of Dragons, is in a desperate position. Her husband, Khal Drogo (Jason Momoa), is in a vegetative state, and their son was not only stillborn, but deformed. Both tragedies severely threaten Dany’s position as khaleesi of the Dothraki horde, and, therefore, her chance at getting the army she needs to retake the Iron Throne. Both of these calamitous events are the direct result of a fatal mistake on the part of the young queen: Trusting Lhazareen godswife Mirri Maz Duur (Mia Soteriou) to perform a blood magic ritual to save Khal Drogo’s life. “Only life can pay for life,” Mirri Maz Duur tells Daenerys, leaving out that not only does Dany not get to decide which life is used as payment, but that “life” can mean a number of things. Technically, Drogo is still alive. But he can never ride or fight again, which makes him good as dead in the Dothraki’s eyes. But what Mirri Maz Duur doesn’t realize is that Dany has some magic of her own, which we see for the first time as she transforms from a frightened girl to a powerful monarch capable of great miracles—and great cruelty. 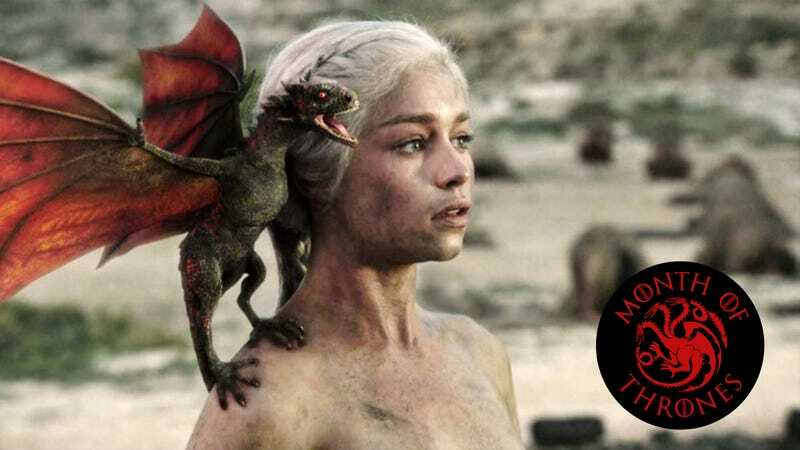 After putting poor Drogo out of his misery with an embroidered pillow, it looks like Dany is preparing to immolate herself and the dragon eggs she received as a wedding present on her husband’s funeral pyre, a practice that was performed in our world for millennia. “I won’t watch you burn,” exiled Westerosi knight Jorah Mormont tells her; “is that what you fear?” she responds, a faraway look in her eyes. After tying Mirri Maz Duur to the pyre, Dany lights it with a torch, setting its two interconnected rings ablaze. Then, she walks into the fire, unbothered by her diaphanous dress literally burning off of her body. The next morning, Jorah and the small band of Dothraki still loyal to Drogo who gathered to watch his funeral wake up, expecting to see nothing but a pile of ashes. But there’s Dany, sooty and naked but completely unharmed, her platinum hair still bound up in elaborate braids. And with her are three baby dragons, crawling all over her like a litter of puppies. Someday, these dragons will be a terrifying destructive force on par with nuclear weapons. But today, they’re no bigger than little rubber monsters you might find in a child’s toy box. Stunned, Jorah and the Dothraki fall to their knees in awe. And just like that, the dragons are born, the dragon queen is born, and magic is reborn in the world. “If the great theme of Game Of Thrones is how fragile the idea of nobility is, then the secondary theme is probably the idea of consequences and just how unpredictable they are. You can never be quite sure what will happen when you do something ... Really, you can only trust yourself. It’s Dany who learns this the hard way. She’s lost her child, and her husband is in some sort of deep coma, thanks to the witch’s blood magic ... She trusted that her act of saving the witch would lead to some sort of added advantage. Instead, her act of saving the witch prolonged a life that had already grown miserable. Without her village (or her temple), without her people, living in a world where she had to be around the men who had raped her, the witch wasn’t too thankful for Dany’s gift, and Dany was too blinded by her own ideas of her generosity and power to realize that.